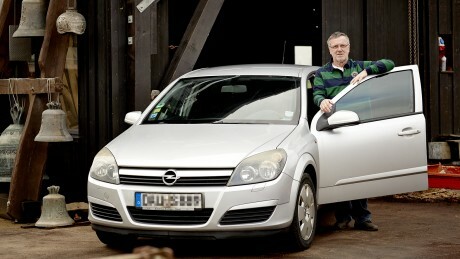 Opel the Reliable. Nothing has changed in this respect. If many miles of service and reliability are what you are looking for, the brand with the iconic lightning bolt is always among the best. Our latest long-distance champion proves that the Opel compact class is right at home on marathon journeys. 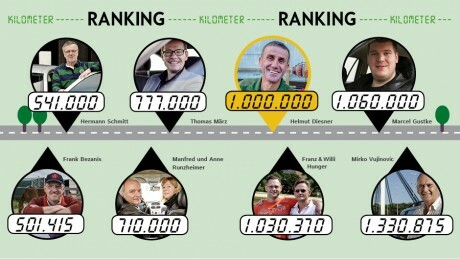 Helmut Diesner passed the million-kilometer mark with his Astra F and set off a media frenzy in the Bavarian city of Kemnath. 5,000 kilometers per month. 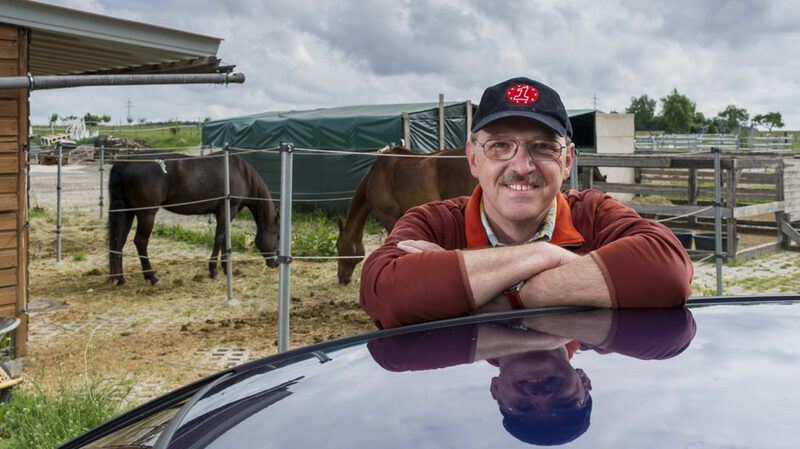 For 14 years now, regional agent Helmut Diesner has been touring an area with a radius of roughly 120 kilometers behind the wheel of an Astra. The time is 5:30 p.m. Helmut Diesner, 52, rolls across the finish line. Cheers erupt as he climbs out of his car to a flurry of flashbulbs. A charming woman places a victory wreath over his head and local music plays. “Just like Formula One,” Diesner says with pride. Granted, there is a slight difference. Helmut Diesner is far from Monte Carlo, in a market square in Kemnath, a town with a population of 5,000 located approximately 100 kilometers northeast of Nuremberg. And in keeping with the locale, the victory is not being celebrated with glasses of champagne in a casino, but with Upper Palatinate beer in the local pub Zoiglstube zum Hoiderer. 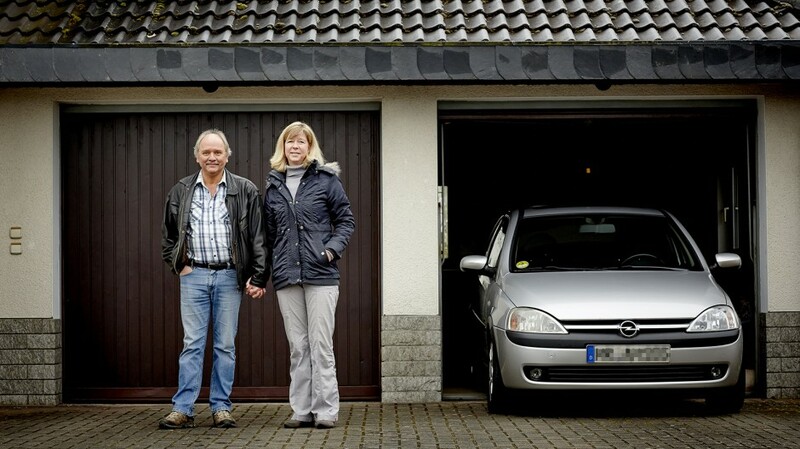 The car that Helmut Diesner emerged from is not a Formula One racecar, but an 82-hp Astra from Rüsselsheim. And he hasn’t just become a Formula One world champion, but a millionaire. In kilometers, that is. Kemnath celebrates its long-distance champion with a victory wreath and a champagne shower. The odometer of his 1997 Astra 1.7 D station wagon has returned to its virginal state: six zeros and not a single one, because no space has been reserved for a seventh digit. And that is a picture worth taking, even for professional journalists. Their presence in such large numbers is the work of Helmut Diesner’s friends and acquaintances. They have taken the rare moment when a car’s odometer turns over and made it into a media circus of modest proportions. Six zeros and not a single one. No space has been reserved for a seventh digit. And Helmut Diesner has to give one interview after another in which he gladly repeats the same story: He bought the long-distance runner at Opel Memmel in Kemnath, and it already had 100,000 kilometers on it. An IT company had used it up to that point as a company car. And as a representative for household gas facilities, he is constantly on the road, racking up 60,000 kilometers a year in his Astra. And the station wagon has never left him in the lurch. A media circus of modest proportions: Friends and acquaintances celebrate Helmut Diesner and his Astra. “Nothing in the engine has ever broken,” Diesner affirms. He goes on to report that in 17 years of driving the Astra (which had roughly 100,000 kilometers on the odometer when he bought it), it has never broken down due to a defect. Only the valves have been replaced. He recommends replacing the cam belt and fan belt regularly and changing the oil and oil filter every 10,000 kilometers. “And don’t rev the engine,” he adds. Thanks in part to his prudent driving, the vehicle needs “no more than five liters of diesel every 100 kilometers.” The car is only on its third alternator, and the starter, too, has been replaced. The same goes for the clutch, which “checked out” somewhere around the 700,000th kilometer. Diesner reports that the German technical inspection association has never found a fault in it.” It has passed muster in every inspection report. Since then he has only had to replace wear parts. 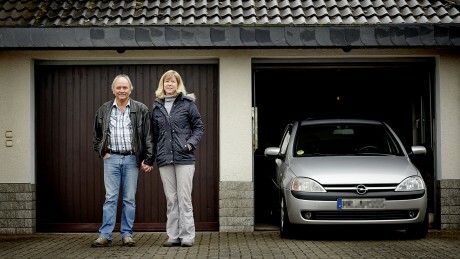 At the 700,000-kilometer mark it was time for a new clutch, but the diesel engine “still runs like a charm.” Helmut Diesner changes the oil himself every two months, a necessity given the number of miles he puts on the car. Click this link to watch a Video of Helmut Diesner presenting his long-distance champion. The long-distance runner only reaches its limit when driving through the forest in the winter. As it happens, Helmut Diesner is an avid hunter. “When I get stuck in the mud, I have to get towed. But is that any reason to turn around and buy an SUV? No way.” The millionaire’s test certificate is valid until March 2016. “I’m not worried about the engine. But the rust on the chassis…”, he says thoughtfully. What if it doesn’t receive a new sticker? “Then we’ll see.” There may be no way to avoid buying a new car. As for what kind of car that might be, it’s too soon to say. But one with power windows might be nice. Helmut Diesner has yet to experience those.